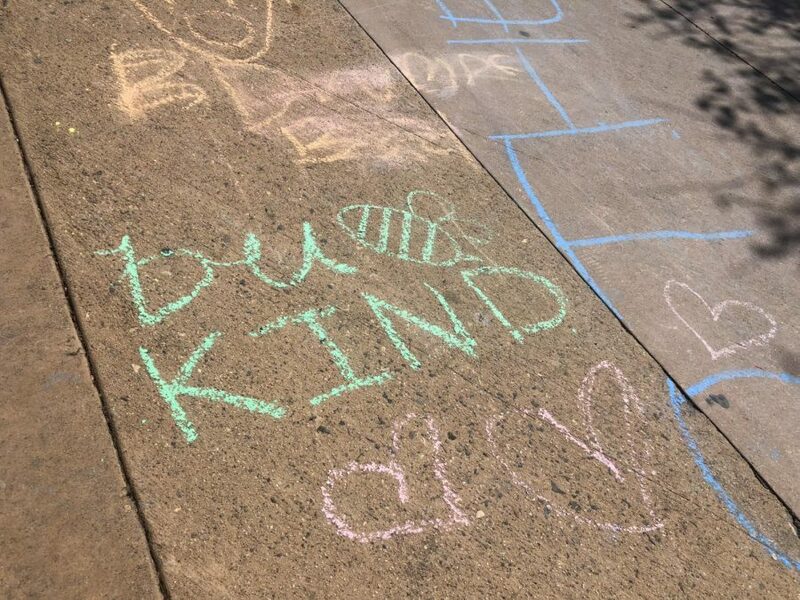 Students were encouraged to draw kind messages in chalk for kindness week. school environment, according to Assistant Principal Celeste Barnette. quote or a smiley face or a heart – something that would lift up someone’s spirit,” said Barnette. Figueroa helped clean up the drawings for the remainder of second period. we scrubbed it out,” said Barnette. and to supervise, said Atkins. for an elective fair, and the drawings were not something that embodied SDA at all, she said. away…so I knew we could quickly take care of it if there was an issue,” she said. it was all about,” said Barnette.